scamFRAUDalert advice consumers to exercise care and caution when conducting business with this firm based on the number of complaints reported to the Better Business Bureau and other complaint forums. scamFRAUDalert see it appropriate to issue this ALERT that consumers exercise care and caution as reports of exorbitant interest of 1500% continues. Minnesota Attorney General Lori Swanson obtained a Consent Decree with an unlicensed Internet “payday” lender that charged Minnesota residents unlawful interest rates of up to 1,564 percent. The Consent Decree requires the company, Sure Advance, LLC, to pay $760,000 and to stop lending to Minnesota residents unless it becomes properly registered to do business in Minnesota and complies with state interest rate caps and other consumer protection laws. Attorney General Swanson warned consumers against taking out loans from unlicensed online lenders: “Unlicensed Internet lenders charge astronomical interest rates, and many consumers who have applied for loans on the Internet have seen their private information end up in the hands of international criminal fraud rings. People should not take out loans from unlicensed Internet lenders, period,” said Attorney General Swanson. Under the Consent Decree, Sure Advance, LLC has paid $760,000 into a consumer restitution fund. The proceeds will be utilized to refund Minnesota consumers for unlawful interest charges and fees. 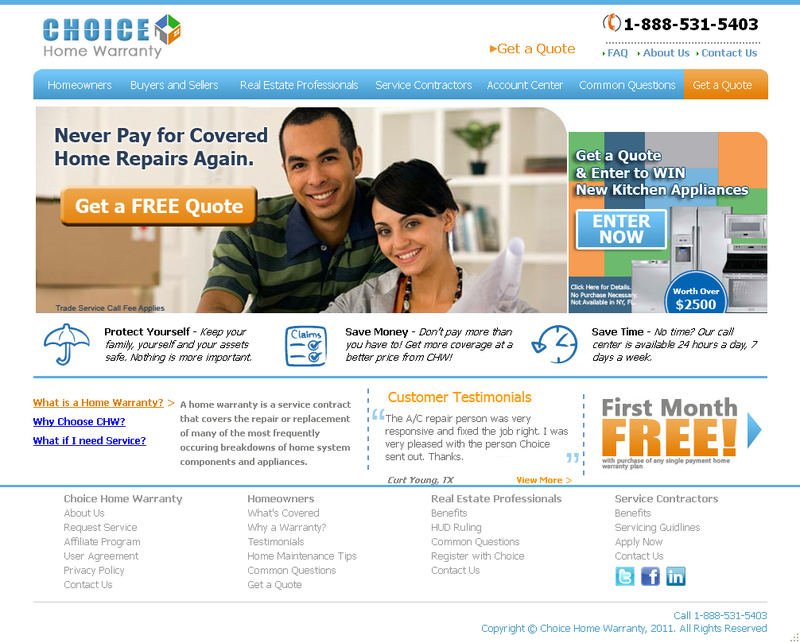 The company, based in Delaware, made over 1,200 loans to Minnesota residents. 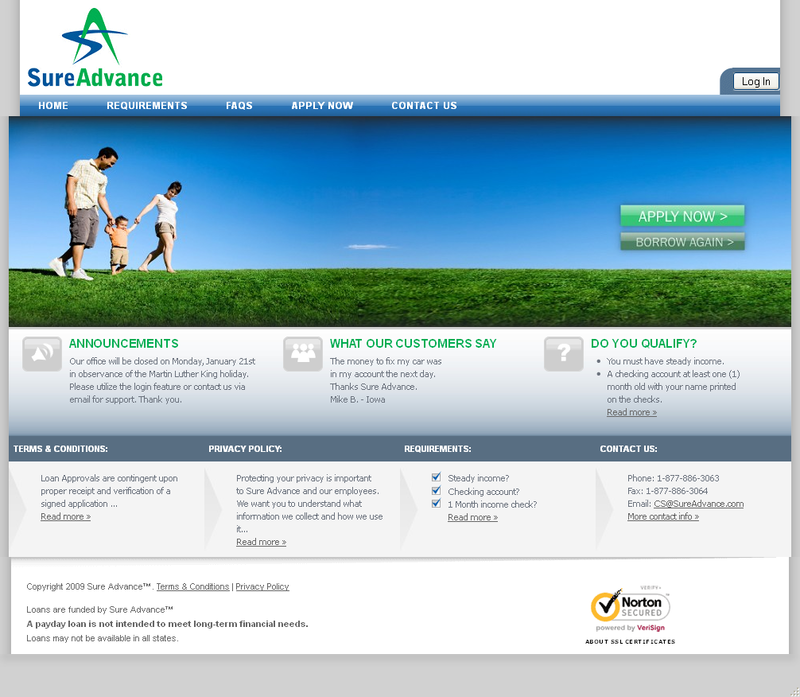 The Attorney General filed a lawsuit against Sure Advance, LLC in Hennepin County District Court in September, 2011 accusing it of violating state payday loan laws. A “payday” loan is a short-term, high-interest loan, often under $500, targeted at borrowers who need money between paychecks. The high-interest rates, recurring finance charges, and refinancing of the loans can cause the amount owed on the loan to increase rapidly in a very short time. The problems in the economy have led many people to look for short-term, “payday” loans on the Internet. In 2011, the Internet loan industry reported Internet loan volume estimated at $13 billion to millions of customers nationwide. (Source: Mercator Advisory Group Executive Brief, November 2012). Internet payday lenders that lend money to Minnesota borrowers must comply with state laws, even if their physical headquarters are in another state, under a Minnesota law that became effective on August 1, 2009. Sure Advance, LLC was not licensed to do business in Minnesota and charged interest rates far in excess of those allowed under state law. The Attorney General’s Office has published a flyer entitled Beware of Payday Loans to inform consumers about their consumer rights when dealing with Internet lenders. Under Minnesota law, for loans between $350 and $1,000, payday lenders cannot charge more than 33 percent annual interest plus a $25 administrative fee. For loans less than $350, Minnesota law caps the fees that may be charged on a sliding scale as follows: $5.50 for loans up to $50; 10 percent of the loan amount plus a $5 fee on loans between $50 and $100; 7 percent of the loan amount (minimum of $10) plus a $5 fee on loans between $100 and $250; and 6 percent of the loan amount (minimum of $17.50) plus a $5 fee on loans between $250 and $350. The Attorney General said that her office has heard from a growing number of consumers who have received phony debt collection calls from international criminal fraud rings after entering their private data into the website of an online lender. The criminal callers falsely tell consumers that they owe money on a loan and will be arrested or go to jail if they don’t immediately pay it back. The Attorney General’s Office has published a flyer entitled Phony Debt Collection Scams with more information on this scam. Never do business with an Internet payday lender that is not licensed to operate in Minnesota. To find out if a lender is licensed, check the Minnesota Department of Commerce website at http://mn.gov/commerce/consumers/Tools/License-LookUp.jsp or call the agency at (651) 296-4026. Check if an Internet lender is complying with state interest rate caps. Do not provide your personal and banking information to an online lender unless you are confident in whom you are dealing. Many consumers report being targeted by international criminal fraud rings after entering their personal information into the website of an online lender. If you are targeted with a phony collection scam threatening to arrest you or have you jailed if you do not pay back an amount you do not owe, hang up the phone. Consumers may report problems with an unlicensed Internet lender to the Minnesota Attorney General’s Office by calling (651) 296-3353 or (800) 657-3787. Consumers may also download a Complaint Form from by click here and mail the completed form to the Attorney General’s Office at: 1400 Bremer Tower, 445 Minnesota Street, St. Paul, MN 55101-2131.
scamFRAUDalert see it appropriate to issue this ALERT as this is a fraudulent website and requiring payment via western union. scamFRAUDalert see it appropriate to issue this ALERT as there are several complaints regarding unauthorized debit/credit transactions to consumer’s accounts. scamFRAUDalert see it appropriate to issue this ALERT as this website is asking customer pay via western union, moneygram, or some wire transfer where there exist no recourse. 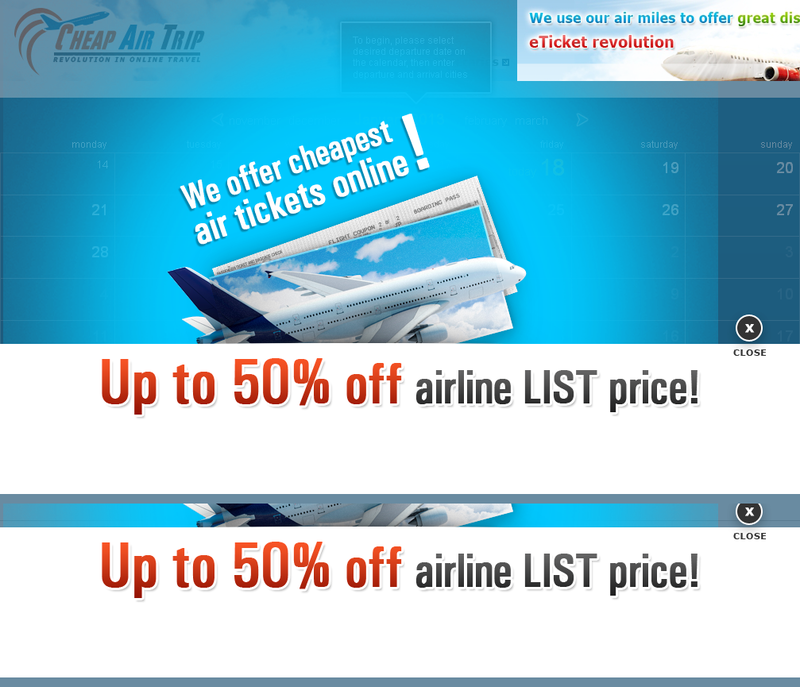 The site promises 50% reduction of regular airline prices and is targeting Middle Eastern consumers. First American Financial Solutions, Inc.
scamFRAUDalert see is necessary to issue this ALERT as the telephone number listed has been disconnected. The WHOIS shows private a registration in July of 2012. Consumer’s have complained that the firm failed to live up to it’s promised of helping homeowners stay in their home and reduce their interest rate in times of distress to loosing their home in foreclosure. 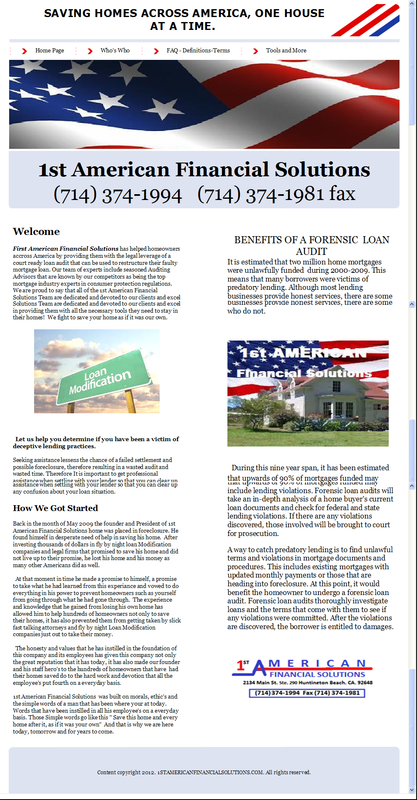 1st American Financial Solutions charge a upfront fees for Forensic Loan Audit that range from $400 – $799. 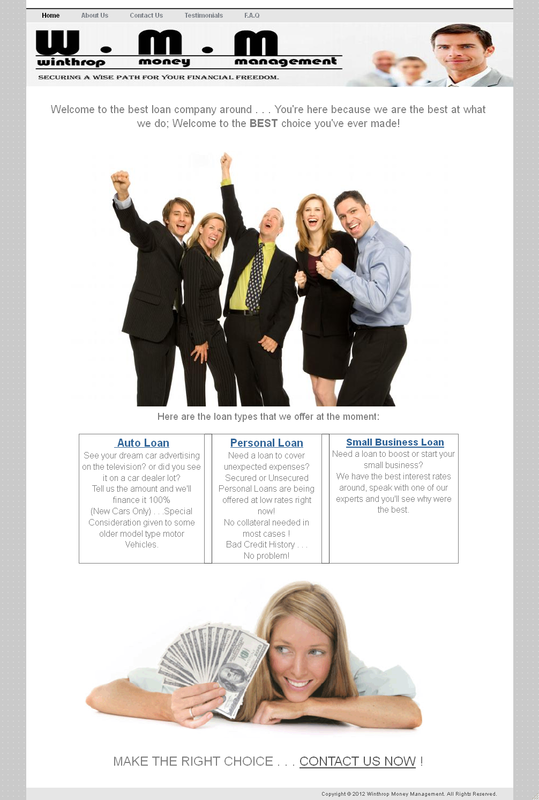 This website is soliciting loan modification from the general public a high risk business where consumer dissatisfaction is high. First American Financial Solutions has helped homeowners accross America by providing them with the legal leverage of a court ready loan audit that can be used to restructure their faulty mortgage loan. Our team of experts include seasoned Auditing Advisors that are known by our competitors as being the top mortgage industry experts in consumer protection regulations. We are proud to say that all of the 1st American Financial Solutions Team are dedicated and devoted to our clients and excel in providing them with all the necessary tools they need to stay in their homes! We fight to save your home as if it was our own.